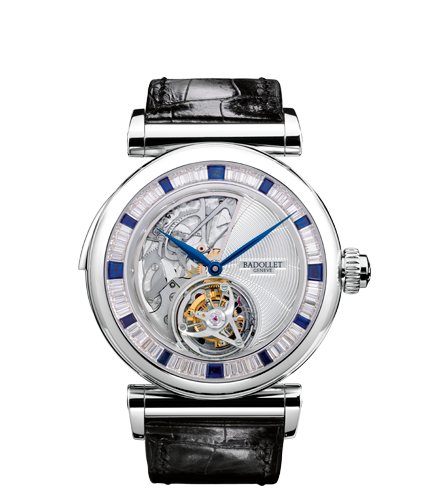 Badollet watches are worn by those who appreciate the rare and the exceptional. This timepiece is equipped with a mechanical movement whose plate materials are taken from a meteorite. This single-button (timer) chronograph allied with a flying tourbillon (free-working). 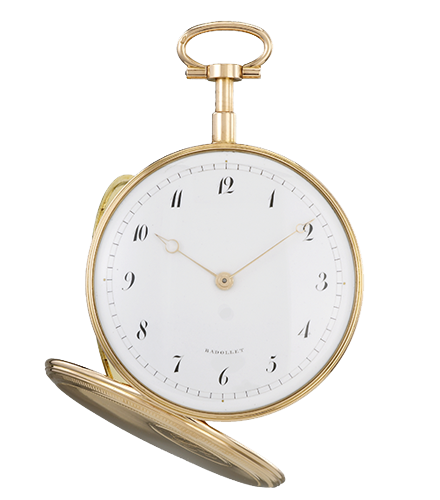 This timepiece features a minute repeater. 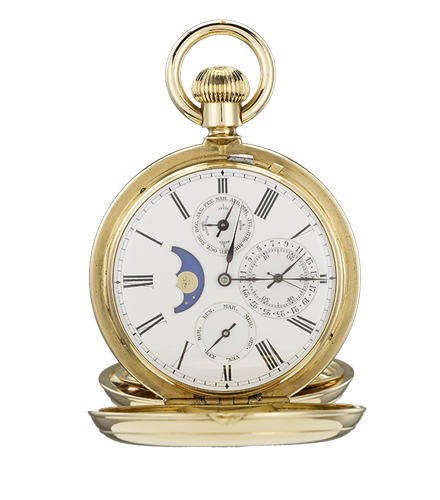 This single-button (timer) chronograph allied with a flying tourbillon (free-working) is housed within a casing that has the look of a pocket-watch. 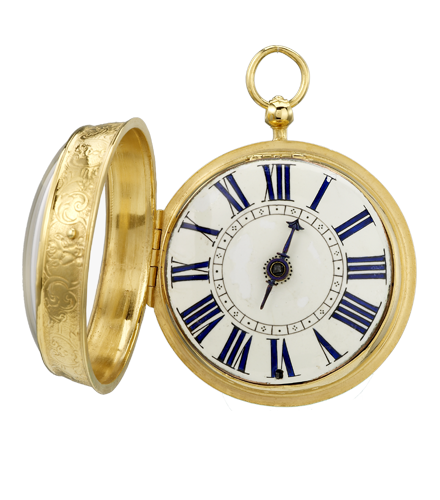 In 1635 in Geneva, the first Master Watchmaker in the family, Pierre III Badollet, created a unique expertise which has, along with the different masters of the Badollet dynasty, come down through the centuries in perpetual movement, subtly combining tradition and innovation.